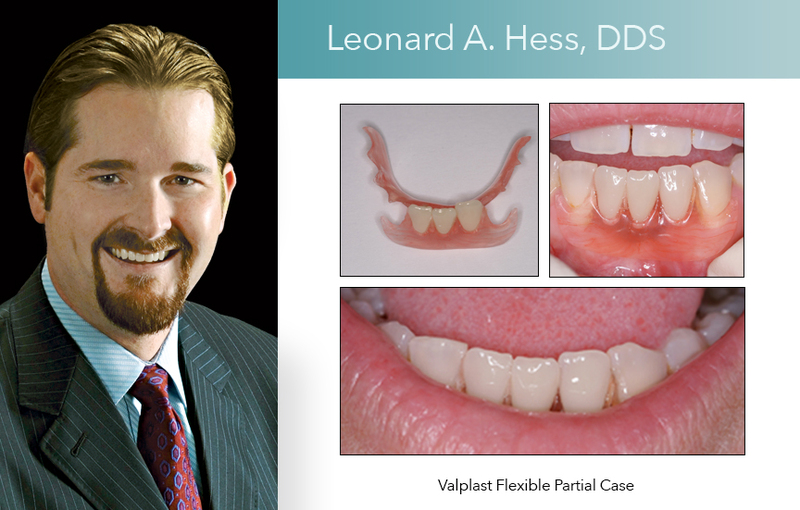 Valplast is a pressure-injected, flexible denture base that is ideal for partial dentures, unilateral nesbits and flipper partials. Lightweight, practically invisible, and wonderfully comfortable, Valplast is a biocompatible nylon thermoplastic that has been pleasing denture patients for over 50 years. You save chairtime by eliminating tooth preparation and a metal framework try-in while your patients will love the natural esthetics and superior comfort. DAL is a Certified Valplast Laboratory. For complete information, please refer to our Valplast Tech Sheet. Valplast is a registered trademark of Valplast International Corporation.